Creating a brand new look for local realtors. Techno Goober was challenged with creating an easy-to-navigate website that promoted their featured listings and was search engine optimized. We created an aesthetically pleasing site with professional photography and custom design. 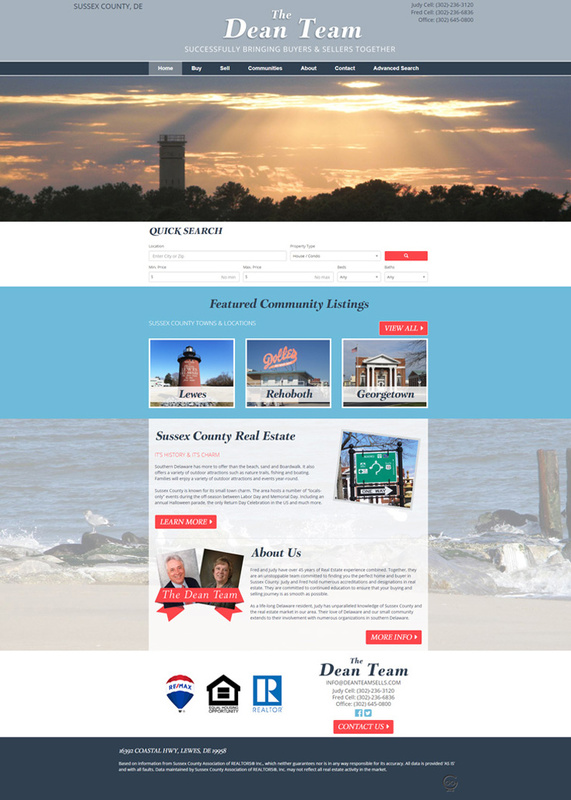 We also provided search engine optimized pages for the different neighborhoods in Sussex County.